The Advent Fulfilled: Because God is A Bit Like Clark Griswold | alyssa santos - rocks. roots. wings. I hustled the ladder near the front of the house, as close to the windows as possible. Gathering the twinkle lights and the garland of fake pine, stepping around the see-sawing penguins in Santa hats, I began decorating the windows. The temperature topped out at about 15 degrees Fahrenheit. My nose was running, my fingers numb and my feet, they were there but I couldn’t feel them, gingerly climbed the ladder treads. The multi-colored lights twinkled even in the gray, snowless, sunshine-less day, their glow cheering me on to complete the project despite the cold seeping into my bones. Ah, all in the name of Christmas. And I feel a little silly. I feel a bit like Clark Griswold. 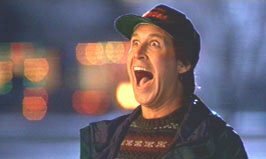 Chevy Chase’s character in A National Lampoon’s Christmas Vacation is a preeminent idealist. He wants nothing more than to provide a “Good Old Fashioned Family Christmas!” for his kids and extended family. We get a kick out of his sappy sentimentalism while he dons a purple turban and cries watching old movies in the attic. We nod in understanding as he gets crazy-eyed excited about the perfect tree for the living room. And like Clark, I risk my safety and perhaps frostbite, just to get the lights up and make the house merry. All that Christmas Spirit seems to be getting a bad rap lately. People want to simplify and stop it with the gift-giving and focus on the real reason of Christmas. No parties, no big, complicated meals, no marathon baking, no commercialism. I don’t really fall into that boat. I like to go all Clark Griswold (minus the weird swimming pool fantasy and kidnapping the boss, minus a few other things, too!). I love to make the lists and check them twice. I love to find just that perfect thing that will make the kids’ eyes shine with surprise and happiness. I love making horrible-looking gingerbread men (mine always look terrifying) and laughing with my kids. I love eating the cookie dough and planning the dinner. I love making gifts for friends, writing out that Christmas letter, reuniting with our ornaments and kitschy, Christmas-tacky decorations. I love watching Elf and belting out carols and watching the kids fall asleep near the tree and marveling at my husband’s precision gift-wrapping skills. I love drenching my kids in tradition and love (and, yes, even some presents). I love doing devotions in the weeks leading up to Christmas day, even missing a day or two here and there and catching up. I love the opportunity to bless, teach, encourage, and lavish love on others that the commercialized Christmas provides. What would charities and food banks and ministries and families do without the story of God’s lavish, over-the-top gift of Jesus and the miracles that surrounded his birth? 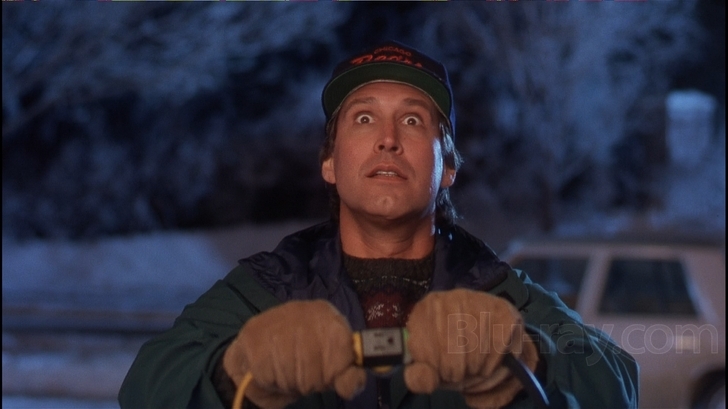 It’s this story that prompts us to remember that God is actually a little like Clark Griswold! Yes, the babe was born in a stable, a simple and rustic scene, but that rolling back the heavens and showing off his multitudes of singing, shining angels to the lowly shepherds –OVER THE TOP! In fact, angels were busy delivering God’s message of Jesus’ arrival. God was EXCITED that the time had come to get this redemption plan rolling and start transforming some lives and saving some souls and giving, giving, giving grace to the human race! And I string lights on the windows despite frigid temperatures, but God, HE threw a huge ball of burning gases into space as a welcome-baby-Jesus-gift. This star alerted the wise men, inspired their travels to find the long-promised Messiah. This was a star! Absolutely no-holds-barred-over-the-top! And the gifts of the magi? In a word, expensive! Why limit the worth of the gifts that would be presented to the baby who would be King? Why hold back? Sure there’s real stress in the way we westerners celebrate Christmas. There is traffic and pressure and there is, very much so, pain. There are reminders of love ones lost or dreams snuffed out. For many, Christmas can be a reminder of their loneliness or of childhood disappointments. And I believe that our over-the-top celebrations of Christmas must embrace our communities, must reach beyond our homey traditions into the lives of individuals that need, greatly so, the lavish love of God. Might we allow God’s Clark-Griswold-ish-over-the-top nature to inspire us to be the brightest house in the neighborhood? Not necessarily because of the “25,000 imported Italian twinkle lights” but because of the light of joy of Jesus’ victory shining in our lives, pouring out the windows, down the street and into the hearts of our neighbors. The world needs miracles, needs clean water and better laws against human trafficking and child labor. The world needs the transformational reality of this indulgent, radical, over-the-top heavenly grace. We are the miracle, the living proof that hope is tangible, available and a gift with every single individual’s name carefully scrawled on the tag. Hope is for you and me, and it’s the perfect gift for us to regift, again and again. Yes yes! Alyssa this is so true. I love the balance that you have struck between lavish festivities of Christmas and both the simple and extravagant grace of Christmas. I LOVE everything about Christmas! All of it. 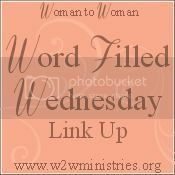 As long as Christ is the center of it. 🙂 Great post.